DONEGAL fans have bashed the country’s bookies – pocketing more than ONE MILLION euro in winnings. Even Paddy Power admitted they paid out more than TWO HUNDRED THOUSAND EURO alone to fans given brilliant odds before yesterday’s stunning win over Dublin. Just two weeks ago Donegal Daily reported that some bookmakers were giving Donegal odds of 10/1 to beat the reigning All-Ireland champs. 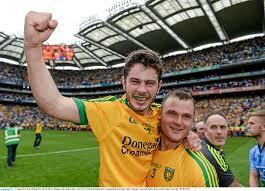 And the six point victory was greeted by canny Donegal punters. Some fans are now waiting on a final win – with Donegal given odds of 16/1 back in May. But it was yesterday’s game which proved such a windfall. Punters could get odds of 25/1 on a Donegal Senior and Minor double win over the respective Dublin teams. One Letterkenny fan won 25,000 Euro with a 1,000 punt!